We're proud of the expert level of work we do. Here's what some of our customers have had to say about us. Below you can find many of our reviews and testimonials. Assure Heating & Plumbing Ltd were on Checkatrade until recently. We decided to remove our profile from their website following Checkatrade's takeover by HomeServe. We've saved our testimonials from Checkatrade though. You can find them below. We've marked the testimonials from Checkatrade so you know which ones they are. Power flush central heating system and replace radiator. "Very pleased with how the work carried out." Changed radiator and boiler service. Install full central heating and Vaillant boiler. "All work carried out well and in good time. I would recommend the company to anyone." 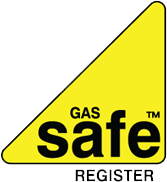 Boiler service and gas safety report. Boiler replacement from back boiler to combi various radiators replaced. "Excellent service, very courteous and punctual. Would not hesitate to recommend. Very happy with work completed." Installed ball valve and changed washing machine valve. "Eric is pleasant and very helpful. Did an excellent job and cleaned up afterwards." Leak in condense pipe identified and replaced. "Eric arrived on time, quickly diagnosed the problem and sorted everything quickly and efficiently. Would highly recommend." Diagnosed boiler fault and fitted 2 port valve. "Excellent and efficient service by friendly tradesmen." "Very good and would recommend to others." The boiler was broken. The water has drained and the part has changed. It's working now. "Eric was very professional and friendly. He worked so clean and he was quick as well. He's all done and thank you so much Eric." Appliance switch + toilet repair. "Arrived on time. Polite, professional and efficient. Would definitely recommend and will use again." Central heating power flush and change radiator TRV. "The work was completed to a high standard, highly recommend." Kitchen tap replacement and isolation valves fitted with flexible TV connections. "Excellent work and time keeping. Extra work no charged only materials at trade cost." Re-sited boiler, fixed faulty thermostat. "The service provided was excellent. The engineer was polite, considerate and helpful. Great job." "Very clean tidy good job well explained." Fitted new shower control power flush. "Eric was on time, professional and did a really nice job. I would 100% use him again and recommend to everyone." "Job done efficiently to satisfaction." Install and plumb washing machine into garage. "Eric is clean, ridy, meticulous and totally professional and knowledgeable." Replaced boiler and fixed leaking pipe. "Our boiler was leaking earlier this year and the initial plumber who visited us wasn’t much help. In stepped Assure and the whole process was much easier. They helped diagnose the issue, recommended a replacement boiler, and installed the new kit in 48 hours. They were also kind enough to pop over late one evening before the job to fix an additional leaking pipe emergency. Replaced two radiators and fitted outside tap. "Excellent standard of work carried out. We had 2 radiators replaced and an outside tap fitted. Would 100% recommend to anyone." "Excellent service from Assure Heating & Plumbing. Completed in the fastest time possible. Reasonably priced too. Would definitely recommend them. The plumber that completed the work deserves high praise." Installed new boiler, moving it from a bedroom to the attic. "We had a new boiler installed in the attic (previous boiler was in the bedroom). There were some additional bits needing to be done which never appeared to be any issue at all. Really pleased with the service. Eric was polite, knowledgeable, tidy and it was all done with no disruption to me and my family. Would highly recommend." "We have used Assure Heating and Plumbing on several occasions and have been very pleased with the service. Eric is very skilled at solving even the most difficult boiler and plumbing issues and is very fair and honest. We couldn’t recommend Assure highly enough." "Just wanted to say thank you so much for fitting our new boiler so quickly. Having found it broken beyond repair on a Friday and having a new one fitted on the Monday was such a good service. Your plumber worked hard all day and was very helpful and pleasant. We will not hesitate to recommend you to anyone. Thank you very much."